The documented human/finch relationship goes back to the 1360s, when pet Java Sparrows were kept by China’s 1st Ming Dynasty. 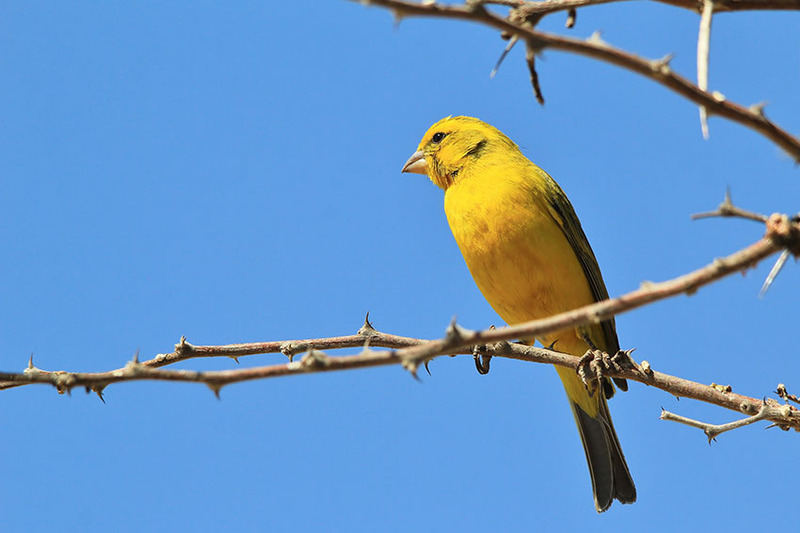 The west was less quick off the mark, but five hundred years ago the first Canaries were brought to Europe by Spanish sailors; and in the last 100 years these trailblazers have been joined by many other pet finches, notably the Zebra finch. The Canary, then, is the true pioneer amongst modern cage-birds. Originally a rather nondescript green-yellow, it sang its way into the heart of European towns and villages in the 16th and 17th centuries. Other cage birds came and went with the fashions of the times, but the love of Canaries has never waned. The kickstart for the arrival of other popular pet finch species was given, ironically, not by a finch but by a small Australian parrot - the Budgerigar. The import of pet Budgies from Australia began in the mid-19th century, and bird importers were soon drawn to some of the budgie’s fellow Aussie avians - notably another small parrot, the Cockatiel, but also the Zebra Finch, Gouldian Finch and Double-barred Finch. Other major players in the finch pet market include the Bengalese Finch and Java Sparrow (which has been kept as a pet in eastern countries for many centuries). As their names suggest, these are not from Australia; but all five of these birds are members of the same family - the Estrildid finches. You will find many other pet finches available for purchase, but these six - the Canary plus the five Estrildid finches - are the ones from which the present popularity of the finch as a pet bird has grown. How Much do Finches and Canaries Cost? Prices of pet finches vary. For a standard Canary prices start at £10, with anything up to £200 for a rare variety. Zebra finches and Bengalese finches are generally in the £5-30 price range, with some of the more unusual species fetching up to £200. How Long do Pet Finches Live? In captivity a Canary usually lives 8 to 12 years, although birds as old as 15 are not uncommon. Zebra finches live up to 8 years, occasionally longer, and most other pet finches have similar lifespans. Speak to the breeder or shop that you bought your bird from for an estimate of your chosen pet bird's lifespan.